As they say, while intelligent people think, stupid ones are breeding.However, even if you meet fools every day, it's not a reason to be sad. Just the opposite! 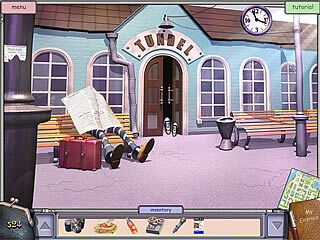 Laugh at the silly characters as you complete absurd tasks in City of Fools, a hilarious Hidden Object Adventure game. A newspaper journalist, you are sent to a small town of Tundel. A UFO is rumored to have landed there, but the local mayor tries to conceal the fact. Overcome all the incredible obstacles, find the mayor and become a hero. Geared up to learn the truth about the mysterious event, you try to interview the mayor but finding him appears harder than it seemed. The way to his door turns up a real challenge to your courage, selflessness and wit. Overcome all the incredible obstacles, find the mayor and become a hero. The game was released to the April Fools Day and it does meet the mood of this cheerful holiday. The graphics style tunes you to this joyous mood from the main screen. The situations you get into while exploring the huge virtual world (over 500 locations!) are absolutely absurd, but they will definitely split your sides with laughter. 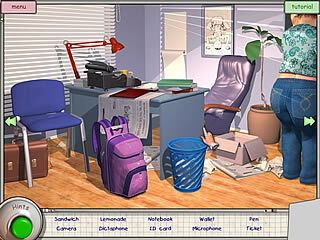 Hidden Object scenes are not excessive, but they are a challenge. Sometimes you have the outlines of the items, or, given the list, you have to scour more than one location to find them all. 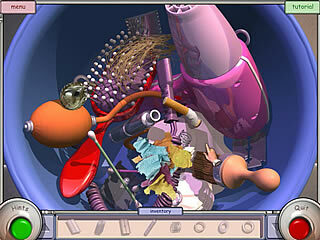 10 mini-games based on different game mechanics offer everything from classic jigsaw puzzles to shooting gallery. Try yourself as a minesweeper and soccer player, check your luck and skills in an unusual casino game and thimblerig. As you wander the city, you can fulfill the objective in a numerous ways. Not all the quests are compulsory, which ensures the game a great replayability potential, especially if you try to repeat the adventure in the expert mode with no hints available. So, raise your mood and remember that all stupid things in this world are done with clever face. Believe me, you have never played a game like that before! I could write a book about my views on global warnimg, but I wont. Instead, I would like to note that Al Gore isn92t trying to become president85. haha. Whoever read that obviously isn92t following presidential politics in the least. I just can92t stand when people blow up about something that they are completely uneducated about. This is City of Fools for Mac OS review. Download this game here.